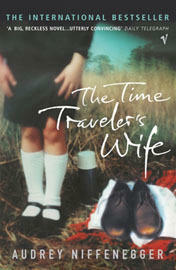 The Time Traveler's Wife by Audrey Niffenegger is a dazzling novel in the most untraditional fashion. It is the remarkable story of Henry DeTamble, a dashing, adventuresome librarian who travels involuntarily through time, and Clare Abshire, an artist whose life takes a natural sequential course. Henry and Clare's passionate love affair endures across a sea of time and captures the two lovers in an impossibly romantic trap, and it is Audrey Niffenegger's cinematic storytelling that makes the novel's unconventional chronology so vibrantly triumphant. An enchanting debut and a spellbinding tale of fate and belief in the bonds of love, "The Time Traveler's Wife" is destined to captivate readers for years to come. Between my everyday house chores and cooking, sometimes I feel like reading some novels of my interest. Since, my two daughters have been my two angels; I got the chance to read one of the books of Audrey Niffenegger, ' The Time Traveler's Wife'. This book intrigues me, as I find it quite unique with interesting theme and plot. The dialogues especially between Henry and Clare and the excuses that Henry had to produce were very amusing and entertaining. I can say that this book is different from other contemporary books, as it has a beautiful blend of Romance, Science Fiction, and Comedy genres. I often imagine how Henry had managed himself when he got caught naked when he had travelled his past and suddenly appeared in another public place of another time. Yes, this part of the novel simply put me to laugh louder than I normally do. Henry himself must have felt awkward when he found without any clothes or wanted to travel back in his present time only to find himself too young. But, this was no joke for him, as it was due to his genetic disorder. He couldn't help it. Sometimes, I pitied his helplessness. Often, I wonder about Clare's feelings about Henry's character, his sudden absence from the scene, and again appearing with some excuses or the other. I would say that her love for Henry was so intense that against all normality she was ready to marry him. I think that the author, Audrey Niffenegger wrote this book from Clare's perspective referring her as Henry's (the time traveler's) wife most of the time. Hence, it is the name of the book. Thinking about Henry and Clare's love affair and their marriage and the consequences at the end made me to day-dream often. I must tell all my readers that it is a Must Read book. You'll also forget your present (as I forget sometimes) and you'll start living their life (I mean, Henry and Clare's), of course! 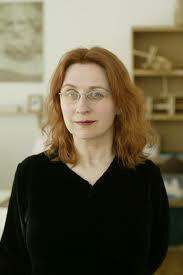 Audrey Niffenegger is a writer, professor and visual artist. Her first novel, The Time Traveler's Wife, was an international bestseller that received praise from "USA Today", "The Washington Post", "People Magazine", and "The Denver Post", among numerous publications. Niffenegger has received residencies from the Ragdale Foundation and the Corporation of Yaddo, and has also received a Fellowship in Prose from the Illinois Arts Council. She received her BFA from the Art Institute of Chicago and her MFA from Northwestern University. Her writing has been published in The Chicago Tribune, Zoetrop. Am sure the book must be better..